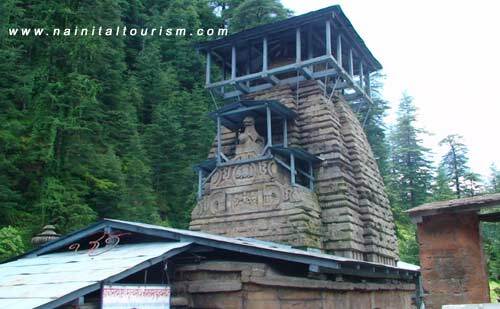 Jageshwar Shiv Temple Is One Of The Oldest Shiva Temple In India. Jageshwar Is A Hindu Pilgrimage Town In Almora District, Dedicated To Lord Shiva, Located 36km Northeast Of Almora And Around 101 Kms Away From Nainital In Kumaon Region Of Uttarakhand Uttranchal. 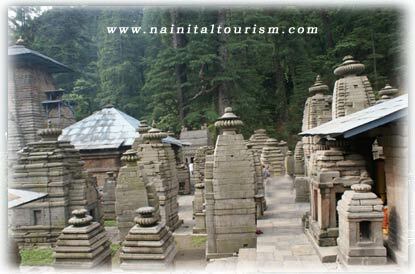 The Temple City Of Jageshwar Comprises A Cluster Of 124 large And Small Stone Temples, Dating 9th To 13th Century AD, With Many Preserved By The Archaeological Survey Of India (ASI), Which Include Dandeshwar Temple, Chandi-ka-Temple, Jageshwar Temple,Kuber Temple, Mritunjaya Temple, Nanda Devi or Nau Durga, Nava-grah Temple, a Pyramidal Shrine, And Surya Temple amongst Which The Oldest Shrine Is The 'Mrityunjaya Temple' And The Biggest Shrine Is The 'Dandeshwar Temple'. Once The Centre Of Lakulish Shaivism, In The Jataganga River Valley Near A Deodar Forest (Cedrus Deodara) Starting From Artola Village On Almora–Pithoragarh Highway, Where Two Streams Nandini And Surabhi Flow Down The Hills In The Narrow Valley And Meet Near The Sacred Spot. 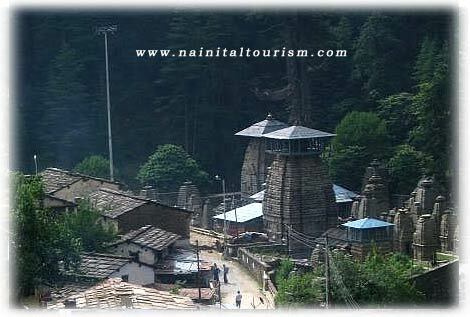 The ' Jageshwar Monsoon Festival ', Held Between 15 July To 15 August Takes Place At Jageshwar During The Hindu Calendar Month Of Shravan, And The Annual 'Maha Shivratri Mela' (Shivratri Festival), Which Takes Place During Spring Has An Important Place In The Calendar Of The Entire Kumaon Region. There Is No Definite Dating Of The Construction Of Jageshwar Group Of Temples But According To The ASI, They Belong To The Post-Gupta And Pre-medieval Eras And Are Estimated To Be About2500 Years Old And One Of The Oldest Temple In India. These Temples Range In The Period From The 8th Century (early Katyuri Dynasty To The 18th Century (Chand Dynasty). The Temples Were Renovated During The Reign Of Katyuri King Shalivahandev. 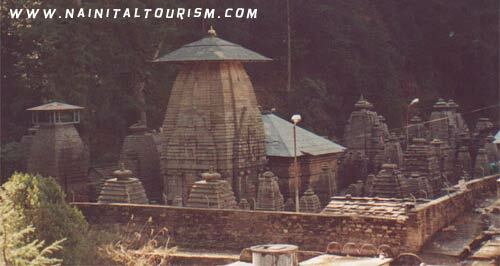 There Is An Inscription Of Malla Kings On The Main Temple Premises Indicating Their Devotion To Jageshwar. The Katyuri Kings Also Donated Villages To The Temple Priests For It’s Maintenance. 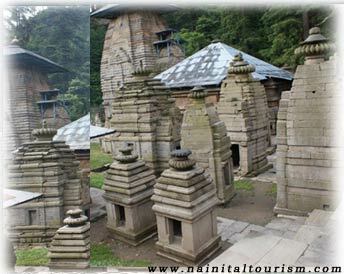 The Chand Kings Of Kumaon Were Also Patrons Of The Jageshwar Temple. Take Your Train From Old Delhi Railway Station Or From Nizamuddin. Nearest Railway Stationis At Kathgodam. Kathgodam Railway Station is About 125 Km Away From Jageshwar. 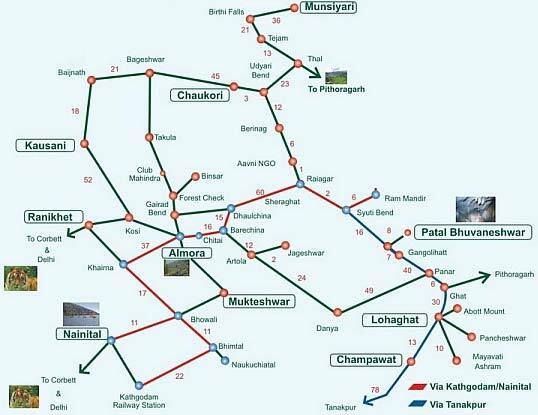 The Distance From The Railway Station To Jageshwar Can Be Covered In Nearly 2 - 3 Hours. From Kathgodam The Drive To Jageshwar Takes Approx Two - Three Hour And From Lal Kuan The Drive To Nainital Is Approx Three Hours. Kindly Note :- Though Time Varies To Reach Jageshwar as It Depends On The Traffic, Time Of The Journey (morning Daytime Or Evening) And The Mode Of Transportation. Jageshwar Is Well Connected By State Owned Bus Services. Bus Services Connect Jageshwar To Other Hill Stations Like Almora, Ranikhet, Nainital And Pithoragarh. Many Overnight Buses Owned By Private Companies Ply Between New Delhi And Jageshwar. Take The Correct Bus From I.S.B.T. It Is A 14 Hour Journey Which Connects The Route Including Other Hill Resorts - Almora, Pittoragarh And Nanital. Kindly Note : Private Bus Service Mostly Operate During The Season Period. The Climate Of Kausani Is Salubrious And Even Offers Hygienic Environment. The Climate Of Kausani Is Extremely Pleasant, Thus Accounting For The Increasing Number Of Tourists To The Place. Jageshwar Experiences Cool Summers And Very Chilly Winters. Snowfall Occurs During The Months Of December And January. The Small Town Of Jageshwar Offers Very Little Accommodation Options Ranging From Deluxe Hotels, Standard Hotels And Budget Hotels Catering To Requirements Of The Travelers Visiting This Beautiful Holy Shrine. Other Options Like The Tourist Rest Houses Are Also Available At Jageshwar. Nainital Tourism offers Transport & Online Booking Luxury - Deluxe And Budget From 10 + Various Hotels & Resorts in Jageshwar. 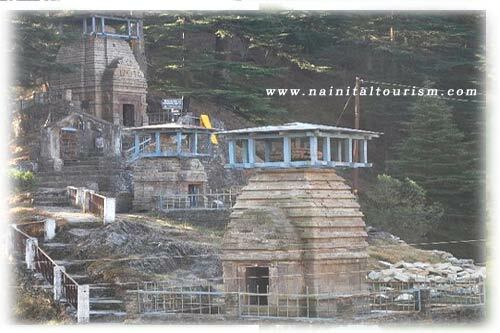 You Can Visit Jageshwar Dham By Taxi Or By Tours & Travel Packages.